Having a birthday party, family reunion, company party or just a get together with good friends? Let the Tulsa Volleyball League help make your day an even more fun time with your friends and family by renting one of our grass volleyball court systems! The Tulsa Volleyball League has grass volleyball court systems and sand volleyball boundary lines that have already been rented out to different groups and individuals for their day or weekend of fun. 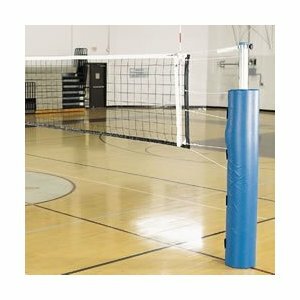 Both court packages include boundary lines, poles, net system, and one game ball. *A $50.00 deposit is required on any rental. The deposit will be returned at the time the equipment is returned. A rental agreement must be filled out and turned in, along with your deposit, before equipment will be released. **A $30.00 set-up fee will be added to any rental rate for anyone renting equipment in the Tulsa Metro area and $50.00 for anyone outside of the metro area that needs the equipment set-up by league officials. To reserve one of our court systems, email us your name, number, and date(s) for your reservation to director@tulsavball.org and we will get you on the schedule.